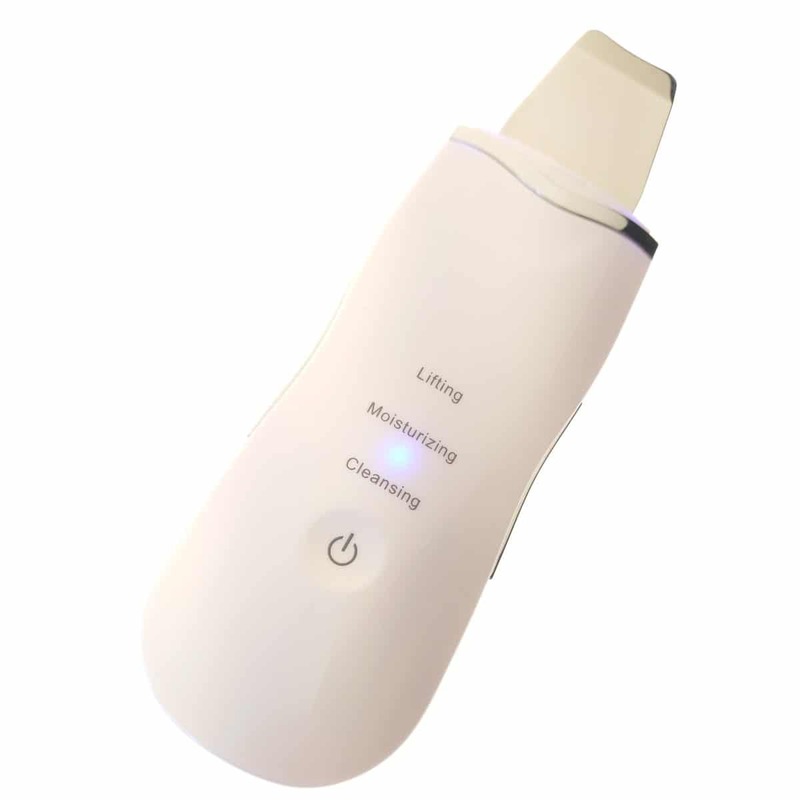 This Ultrasonic Skin Scrubber gently removes dead skin cells, dirt and debris from moistened skin surface and promoting better blood circulation to help prevent acne and blaine, stimulate collagen production, tighten the skin. 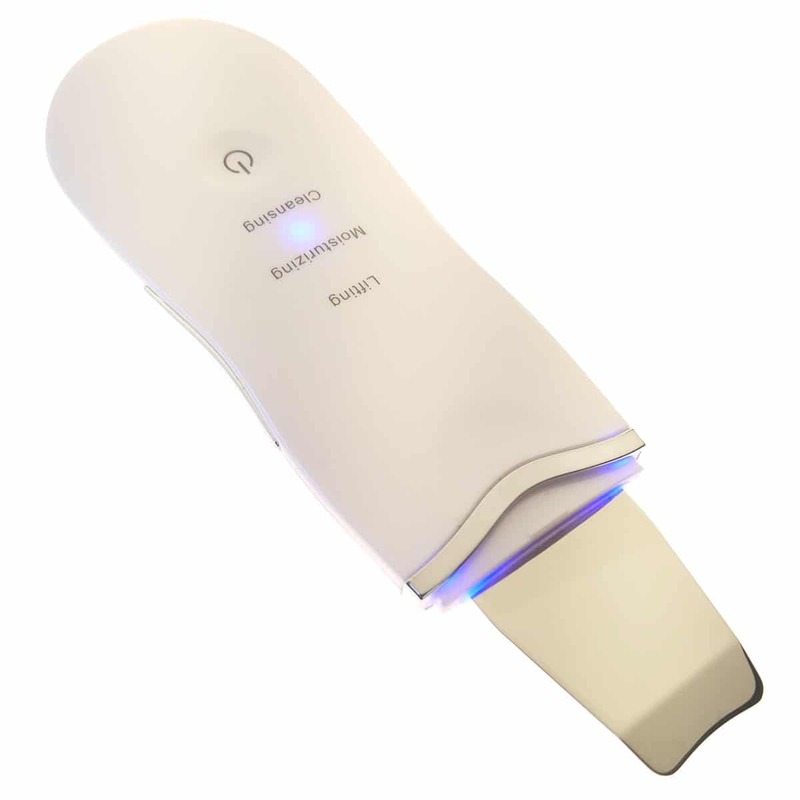 The Ultrasonic Skin Scrubber gently removes dead skin cells, dirt and debris from moistened skin surface and promoting better blood circulation to help prevent acne and blaine, stimulate collagen production, tighten the skin. 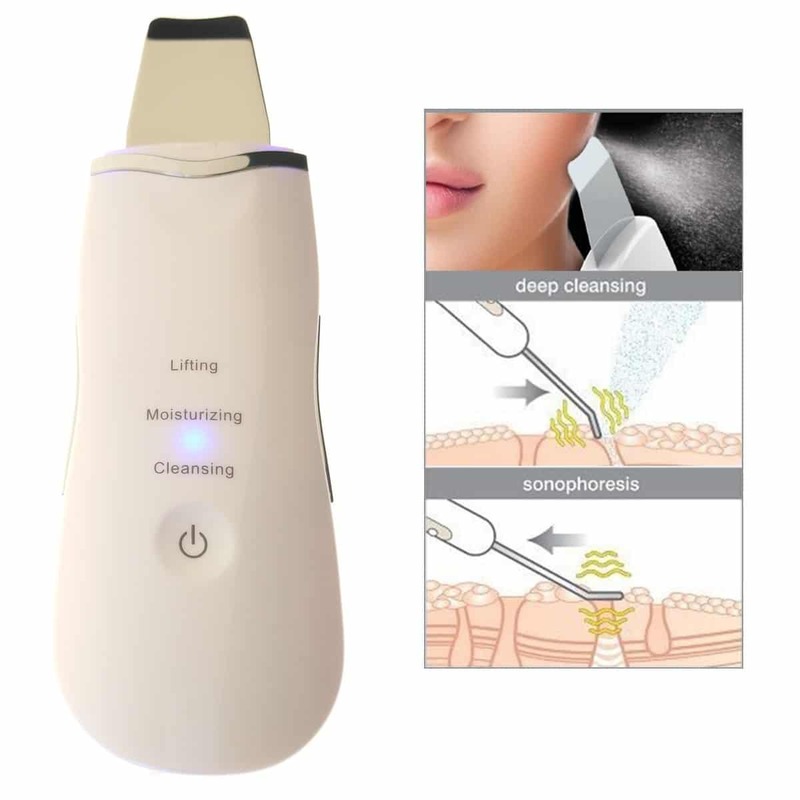 Cleansing mode: The device produces ultrasonic waves, and when the tip meets water a bubble jet phenomenon occurs within the water molecule, helping to remove dead skin cells. Moisturizing mode: The device helps to absorb nutrients such as Vitamin C or mineral ingredients into the skin. Ultrasound is used to push nutrients deep into the skin. Lifting mode: The device helps to shrink the pores to increase skin elasticity and eliminate fine lines and wrinkles.